Mike Tyson Mysteries Scavenger Hunt Begins This Weekend! Leave a Comment on Mike Tyson Mysteries Scavenger Hunt Begins This Weekend! In honor of the launch of Mike Tyson Mysteries, which premieres Monday at 10:30/9:30c, Adult Swim has announced a scavenger hunt which will invade 10 major U.S. cities! The scavenger hunt will begin on Saturday, October 25th, and run until Monday, October 27th. 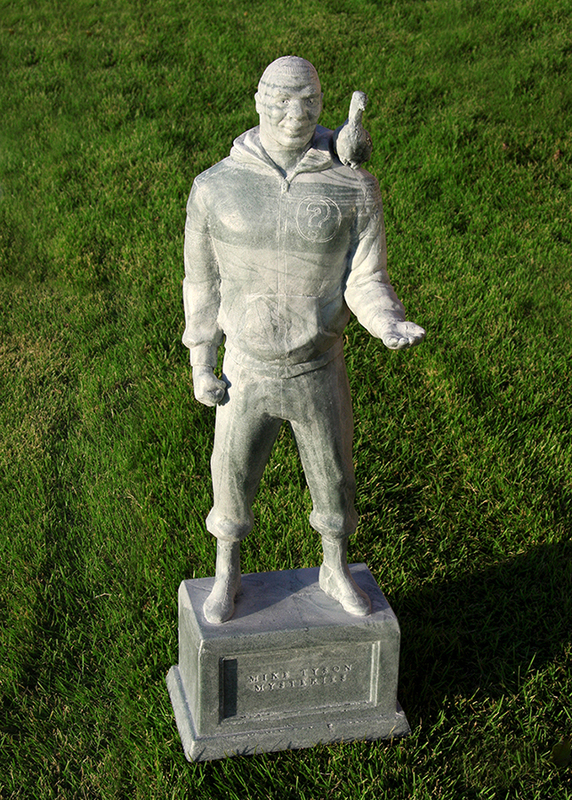 Fans who participate in the scavenger hunt will have the chance to score their own 2-foot-tall Mike Tyson mini-statue, as well as exclusive show prizes in an online sweepstakes. You can head over to the official sweepstakes website here to play the trivia game to find out where the statue may be hidden in your city! We also got a special look at Mike Tyson Mysteries during New York Comic-Con last weekend– check out the gallery below for some of our pictures from the press room! For all things Adult Swim, keep it here on NYCityGuys! Next Entry NYCC 2014: Interview With Kent Osborne and Jessica DeCicco of Adventure Time!